Countries across the world have urged Washington to exempt them from the steep tariffs on steel and aluminum, with the EU warning it would retaliate if hit. Chinese steelmakers urged Beijing to target US coal. US allies including Australia, Japan, and the 28-member European Union asked Washington to grant them waivers from the new US tariffs on imported steel and aluminum on Friday. Previously, US President Donald Trump said "real friends" might be exempt from the controversial measures. When signing the document on Thursday, Trump also said Canada and Mexico would be granted exemptions pending a new deal on the NAFTA trade agreement. Canada is the biggest supplier of steel imported by the United States. The tariffs are set to go into effect in two weeks. After meeting with industry representatives, German Chancellor Angela Merkel said the new tariffs are "not good." "Talks must be the preference right now," Merkel said. "The best would be if we are exempt." German Economy Minister Brigitte Zypries said, "This protectionism is an affront to close partners like the European Union and Germany and limits free trade." 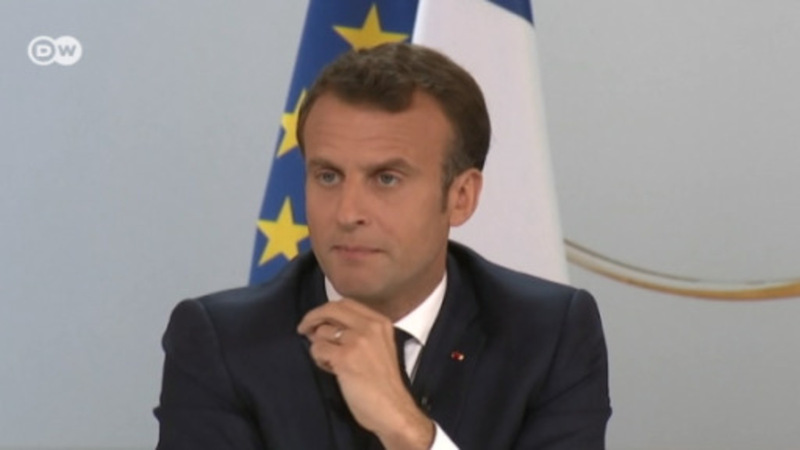 French President Emmanuel Macron told Trump in a phone conversation that the tariffs "risk setting off a trade war in which all the countries involved would be the losers." The EU has repeatedly warned it would retaliate if its steel exports were to be targeted by the measure. Following Trump's proclamation, EU Trade Commissioner Cecilia Malmstrom said Trump's decision was not yet "crystal clear." "We are counting on being excluded," the commissioner said. Separately, EU officials said they might target some 200 goods imported from the US, including bourbon, peanut butter, cranberries and orange juice. Steel, textile and industrial products were reportedly also on the list. The European Steel Association EUROFER backed the call for countermeasures. Malmstrom is expected to seek clarification while meeting the US Trade Representative Robert Lighthizer and Japanese Trade Minister Hiroshige Seko in Brussels on Saturday. By putting the tariffs in place, Trump invoked a rarely used law that allows the president to move against imports that undermine national security. "A skilled, trained workforce in steel is a crucial element of America's national security and must be protected," Trump said. EU officials, however, rejected this justification. "We are an ally, not a threat," said European Commission Vice President Jyrki Katainen, adding that Trump's statements sounded "very protectionist — economy without competition." US Treasury Secretary Steve Mnuchin suggested NATO members may be exempted from the tariffs, but that they would be asked to increase their financial commitments to the alliance. "If we're in NATO, he wants to make sure that NATO gets more money so that NATO can protect all of us and fulfill its goal," Mnuchin told CNBC. Trump has repeatedly criticized several NATO countries for not spending the targeted 2 percent of GDP on defense. Japan also rejected the allegation its metal exports were harming US security, with officials saying the move "could have a grave impact on the economic relationship" between the two countries. Japan's Chief Cabinet Secretary Yoshihide Suga said Japanese steel and aluminum were greatly contributing to employment and industry in the US. South Korea said it would ask for an exemption and might complain to the World Trade Organization if its request is rejected, according to officials in Seoul. Brazil, Australia, and Argentina all asked for waivers as well. In China, steel and metals associations urged the government to retaliate if tariffs are imposed and impose dues on American coal. Wang Hejun, head of the Trade Relief and Investigation Bureau in the Chinese Ministry of Commerce, said that Trump's use of national security was a "wanton attack" on the global trade system. The Ministry of Commerce itself said Beijing would assess any damage caused by the US move and "firmly defend its legitimate rights and interests."